Mold in Your Crawl Space? Wing Three can help you get rid of harmful crawl space mold fast! Trust Wing Three, your local NAMP (National Association of Mold Professionals) certified crawl space mold removal experts. 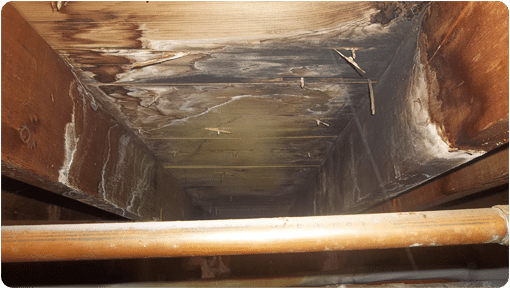 We offer free crawl space mold removal inspections and estimates. Trust our fast and friendly team of mold removal professionals to resolve your crawl space mold problems. 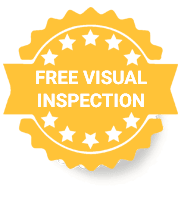 We offer fast, free and reliable visual inspections for crawl space mold removal throughout the area. We get to the root of your residential or commercial mold problem to offer long-lasting mold solutions. Schedule your free crawl space mold removal inspection and estimate today! Mold in your crawl space? Call Wing Three to get your free visual mold inspection. If we find mold in your crawl space, we will provide a free estimate for safe and proper removal of the mold problem. If you need to know the potential health hazards associated with the mold in your crawl space we can take samples to determine the specific species. Wing Three has over a dozen years of crawl space mold removal experience. We take pride in our work and never cut corners. 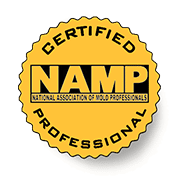 We are NAMP (National Association of Mold Professionals) certified and our work comes with an industry leading 15-year transferable warranty! We do it right the first time! Wing Three has over 20 years of experience in crawl space mold removal and is NAMP (National Association of Mold Professionals) certified for mold remediation, mold inspections and mold testing. We do the job right first time! That is why we are able to offer an industry leading 15 year warranty on our crawl space mold removal services.